Alien Bee: Russell Crowe As ROBOCOP? Maybe! Russell Crowe As ROBOCOP? Maybe! Variety's Jeff Sneider is well known for his accurate scoops and last night he tweeted what you see below. 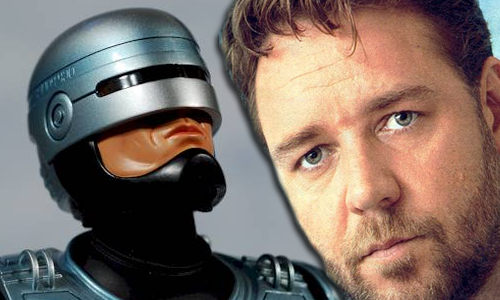 So, do you think Russell Crowe would make a good ROBOCOP? Personally I think he may be too old for to play Alex Murphy because they are trying to reboot this series, not make just a one shot. What do you think? Jose Padilha is directing the reboot.